Zong Qinghou, the CEO of one of China’s largest companies, announced plans to set up a research center at the University of Haifa focusing on artificial intelligence. The Chinese Academy of Sciences will also be a research partner. Zong will provide the AI center with at least $10 million over five years, the research partners announced at a signing event on Tuesday, with much of the funding going to construct laboratories and obtain high-end equipment, the University of Haifa’s President Ron Robin said. “For us, this is a game-changer. We get recognition by a major Chinese investor, that the work that we’re doing is significant,” Robin told The Jerusalem Post. Zong, who heads the Hangzhou Wahaha Group, China’s largest beverage company, has visited the University of Haifa’s campus four times. The research center will focus on improving the camera lens behind driverless cars – necessary for operating a vehicle when it’s raining or foggy – as major automobile companies and tech companies race to perfect the technology in the multi-billion dollar autonomous vehicle market. “We have developed a series of cameras that are able to reproduce very high-level resolution movies using a very small number of pixels. And coming from our marine sciences, we’ve developed a camera that works under water, its high resolution even when it works under water. One of our researchers developed a camera that can take underwater pictures at great depth with virtually no light,” Robin said. Other Israeli universities are jumping into the race to perfect driverless technology, from the Technion-Israel Institute of Technology joining forces with Korean auto giant Hyundai to the Hebrew University working with Israeli firm Mobileye, which was sold to computer-chip maker Intel for $15 billion earlier this year. Most major automakers have established a research foothold in the country. The University of Haifa research center will also specialize in other AI fields, including bio-technology, big data applications and biometric identification, where Israeli security contractors are increasingly active. Robin said that the intellectual property developed at the Haifa AI research center would be divvied up fairly between the academic partners, the Chinese Wahaha Group, and the researcher involved. He did not detail the financial arrangement. Some academic-corporate partnerships in Israel have unraveled into lawsuits over who would make money from marketable lab innovations. Some 15 Israeli graduate students will travel to China for a semester-abroad program, and 15 Chinese post-doctoral students will conduct research in Israel. 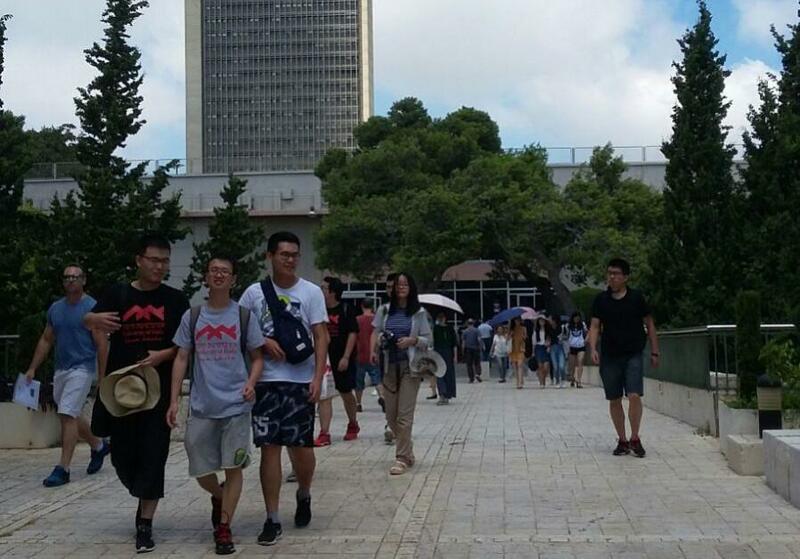 Around 200 Chinese students are already studying at the University of Haifa, out of 18,100 students enrolled on campus. Robin, who was previously a professor in the university’s history and communications department, said that Zong’s donation could open the door to other investors and collaborations with China. “This means that we joined a small group of universities around the world with major Chinese investment in its infrastructure and its graduate program,” Robin said, adding that the new research center testified to the weakness of the Boycott, Divestment and Sanctions movement against Israel. “In China, BDS is a non-issue. It doesn’t exist. They have great admiration for Israeli academia,” he said. “The biggest problem is unofficial BDS, when someone takes a paper from one of our researchers, doesn’t even open it, and just throws it in the garbage. That’s the biggest problem in the Western world, not in China.” The University of Haifa is also engaged in two other Chinese research projects. With Shanghai’s East China Normal University, the Israeli school has set up the joint translational institute, which focuses on neuroscience. Another collaboration is with a group of Chinese investors who may invest $6m., mostly in bio-technology and pharmaceuticals. Zong said he chose to donate to the school because of Israel’s status as a start-up leader – with more hi-tech start-ups per capita than any other country. “Israel excels in having an advanced and innovative research ecosystem. We chose to collaborate with the highly accomplished researchers of the Haifa University… whom we believe can help us achieve our goal of creating revolutionary artificial intelligence technologies,” Zong said in a statement.